Emma Lake | Rusnak Gallant Ltd. 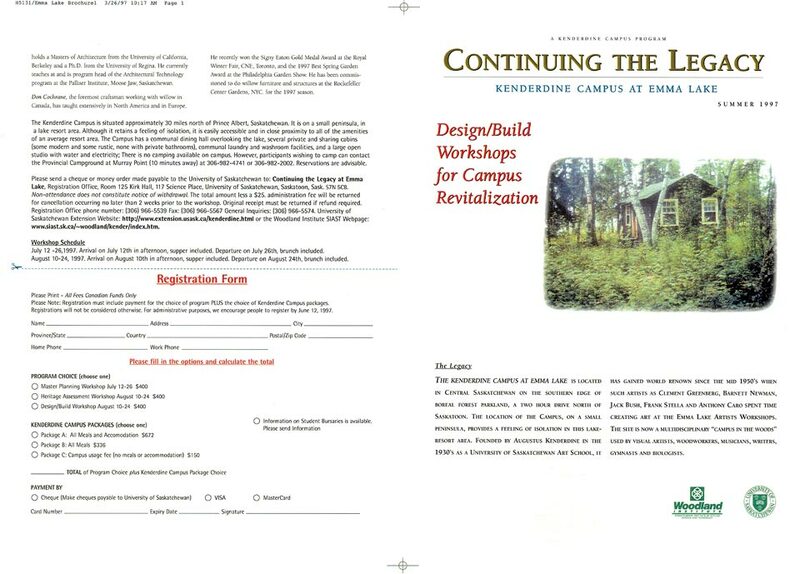 In 1996 Rusnak Gallant Ltd. was invited to develop a Master Plan for the University of Saskatchewan’s northern sixty acre Kenderdine Campus at Emma Lake Saskatchewan. This campus is where the respected Emma Lake Artist’s Workshop is held. 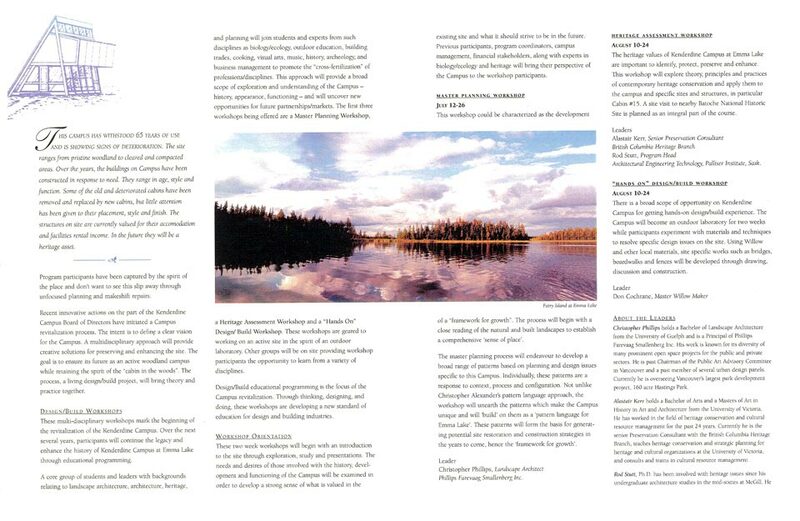 Emma Lake is an institution in the world of Canadian landscape, colour field and abstract painting. The workshops have existed in various entities since 1934. Barnett Newman came to Saskatchewan and Emma Lake in 1959 for a first hand look at Canadian Socialism while being an invited guest critic at the workshop. The scope of our contract was to develop a Master Plan for this heritage site which included a design, and remediation strategy for both the landscape and the building assets. To complement this strategy we developed a two prong fundraising program which solicited both private donation and an onsite education component. The intent of the education component was to create university credit courses which would highlight the remediation of selected landscape and building assets. 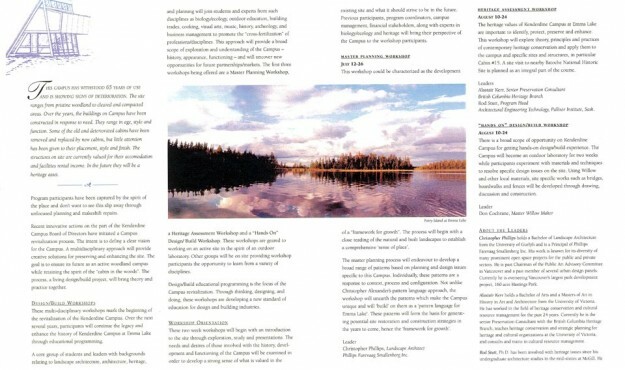 Funding became a combination of corporate funding paired with tuition and participant fees. 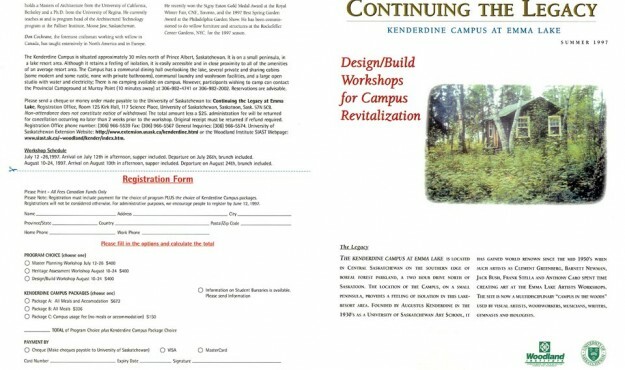 The master plan and subsequent improvements to the campus were defined by design/build master planning workshops.